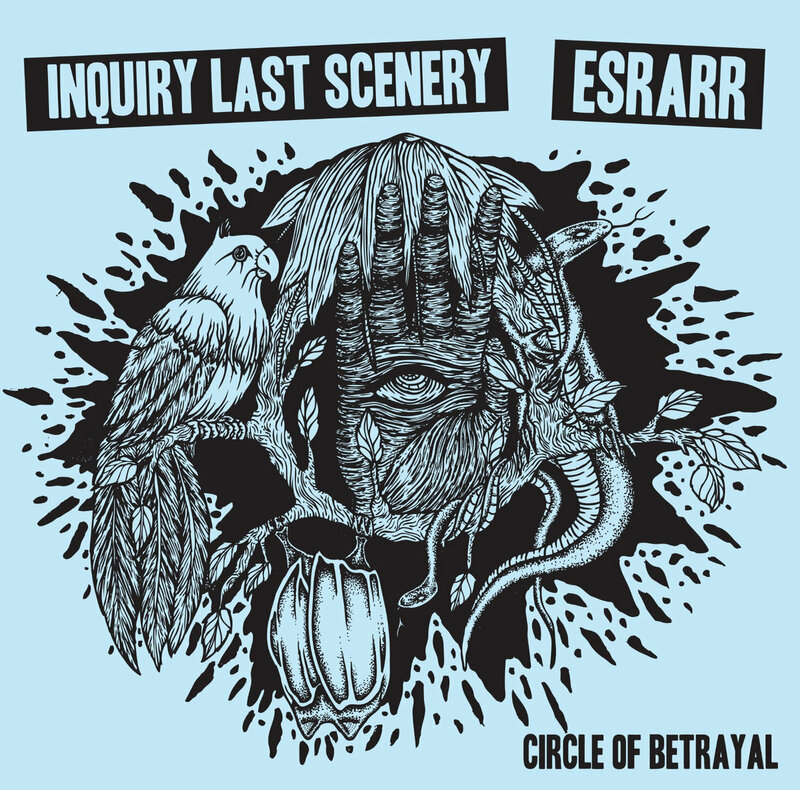 Home › · INQUIRY LAST SCENERY / ESRARR - Circle Of Betrayal Split 7"
· INQUIRY LAST SCENERY / ESRARR - Circle Of Betrayal Split 7"
A split between two local bands. ESRARR play heavy hitting Stoner Rock band ala Weedeater, 16, Buzzoven or Bongzilla. Straight up and heavy riff and all the lyrics concern about WEED and HATE. While INQUIRY LAST SCENERY keep their flavor playing screamo tunes. 2 songs from Esrarr and 4 songs from ILS. A good split if you ask me!